'Social enterprises' - organisations that blend social benefits with financial revenues - are currently a buzzword in corporate social investment (CSI) circles. In order to meet the demand for more information, CSI consultancy Trialogue has established a free, online body of knowledge on the subject. 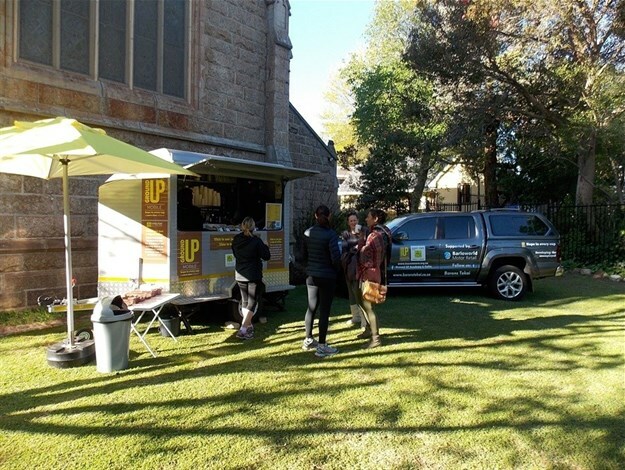 Ground UP coffee trailer at St John’s church in Wynberg, with a vehicle sponsored by Barloworld Barons Tokai. Access to resources is the major challenge they face; 80% have an income of less than R500,000 a year. CSI is the highest source of income, followed by government entities and charitable foundations, ahead of the sale of products and services, according to GIBS research. South African companies invest over R9bn a year in society, says Trialogue MD Nick Rockey. NPOs are the most popular channel for directing their CSI expenditure. Millson says corporate support is not limited to grant funding, citing TFG’s CSI partnership with Fashion for Change (another Learn to Earn project) as an inspiring example. Goods returned by customers, and excess merchandise, are either donated or sold to the Fashion for Change project to be sold in their shops. This provides unemployed youth with training in the retail trade.